WELCOME TO OUR SITE! 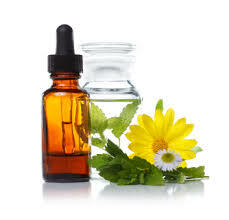 You can find valuable information on the Bach Flower Remedies, book consultations, buy your flower essences and order your personalized remedy formulas. THANKS FOR VISITING! ~ Build your beauty from within and blossom! 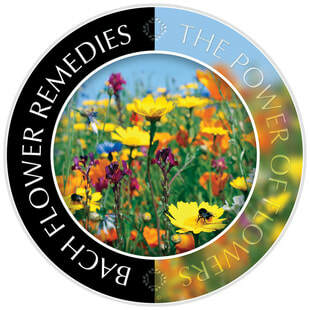 The Bach Flower Remedies are the essences of 38 flowers that can help you manage your emotions, balance negative thoughts and feelings, allowing you to actualize and bring forth your hidden strengths and potentials. ~ Feel at one with yourself! When you feel at one with yourself you feel at your best. You feel joyful, energized, healthy, open to give and receive, ready to cope with any problem or difficulty, and eager to learn and grow. But sometimes, you feel you aren't quite at your best and life becomes hard, boring, with no purpose. ~ Our language is full of meaning. Feeling under the weather? Lacking guts? Carrying the weight of the world on your shoulders? Butterflies in your tummy? What are the emotions and images connected to what you are experiencing? You might be feeling stuck, disoriented, alone, or not able to deal with life as you normally would as if were something not in place. For this reason, you might need extra support to get back in balance and feel fully yourself again. LET ME ASSIST YOU IN FINDING YOUR UNIQUE FORMULA! ​"And may we ever have joy and gratitude in our hearts that the great creator of all things, in his love for us has placed the herbs in the field of our healing." Come and try different formulas for different mental and emotional states! emotions: (Lightspeed research conducted for NELSONS with 3,500 women globally in UK, 2006). It is my hypothesis that these results could be also representative of men. 22% of You feel that you lack the confidence to progress at work. 30% of You feel you could be more successful if you could focus and concentrate better. 33% of You feel that you are too bogged down to think about what you really want. Learning to manage your emotions is a life long journey. Enjoy the process of knowing yourself! the one method of all which appeals to most of us." Copyright © 2016. Roser Camats Falip.​ All rights reserved. (1) Logo Image courtesy of Creature Comforters® (3) Copyright Image: "iStock.com/ Melpomenem.” (2) and (4) Self-Edited Images.